Have you ever considered Israeli contributions to culture? Sure, there are highly respected authors, great violinists, a burgeoning film industry and even success in Eurovision. But jazz? You’ll be surprised by how big the waves Israelis are making on the worldwide jazz stage. The critics’ poll in August’s Downbeat magazine – the American bible of jazz – was liberally peppered with Israeli musicians. And the line-up for this month’s EFG London Jazz Festival (16–25 Nov) includes five established and rising stars in the genre from the Jewish state. What’s more, their national and ethnic backgrounds often inform their music. Take the biggest star from the eastern shore of the Mediterranean, bassist Avishai Cohen (pictured above), who has deftly folded Middle Eastern and Sephardi elements into compositions and solos; singing in Ladino, Hebrew and English. Fellow Israeli Shai Maestro (piano) and American drummer Mark Guiliana round out the Cohen trio, who’ll be performing at the Barbican (24 Nov). Other artists on the festival bill have their own takes on bringing influences from home into the classic US musical form. As much a veteran on the jazz scene as Cohen is bassist Omer Avital. Proud of his Moroccan and Yemeni roots, Avital did the arranging for Ravid Kahalani’s world-music hit album, Yemen Blues, playing bass and oud throughout. At the festival, Avital will be leading Qantar (18 Nov), an all-Israeli quintet who are also all residents of Brooklyn’s Bed-Stuy neighbourhood. Itamar Borochov was also part of that Yemen Blues unit and played on their second album, Insaniya. The Brooklyn-based trumpeter grew up in Jaffa on a diet of Arabic and Bukharan music, which he integrates into his work, along with pan-African influences, and combines these into a lyrical whole. His quartet will be taking to the Pizza Express bandstand in Holborn (20 Nov). 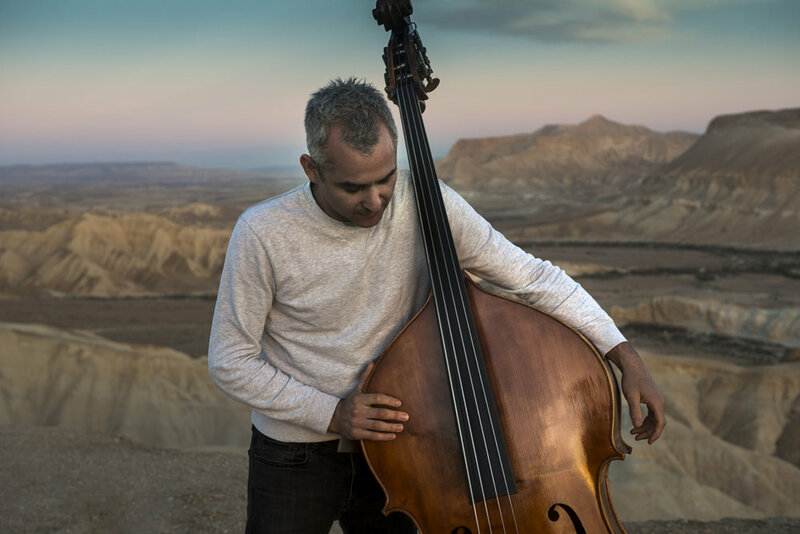 London resident Liran Donin is another Israeli bassist who has succeeded in the West playing American music. 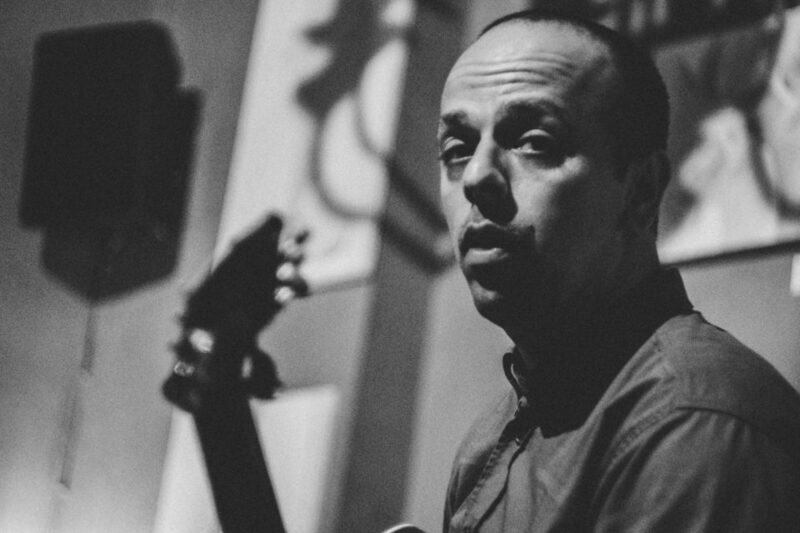 He has been a prized sideman, working in rhythm sections for groups as different as Mercury Prize nominee Led Bib and the backing band for rock singer Chrissie Hynde. He recently made the move to work on his own creative projects, releasing a first album with his quintet, 1000 Boats. Donin and his crew will sail into the Queen Elizabeth Hall at the Southbank Centre (22 Nov)..
A purer approach is offered by guitarist Ofer Landsberg, who last appeared at the London Jazz Festival in 2016, playing with the Mark Kavuma Quartet. This year he’s leading a quartet in paying tribute to bebop pioneers Charlie Parker and Bud Powell. Landsberg studied under the great pianist Barry Harris in New York, where he’d arrived from Israel at the age of 17. Landsberg lists Parker, Powell and Art Tatum among his greatest influences, and you can hear their impact in his quick, thrilling solos through the classic repertoire. Catch him at a matinee at Toulouse Latrec in Kennington (24 Nov). If you miss him there, he’ll be playing again, once the festival has wrapped, at Ronnie Scott’s (28 Nov).